Old El Paso has come up with the most clever thing! 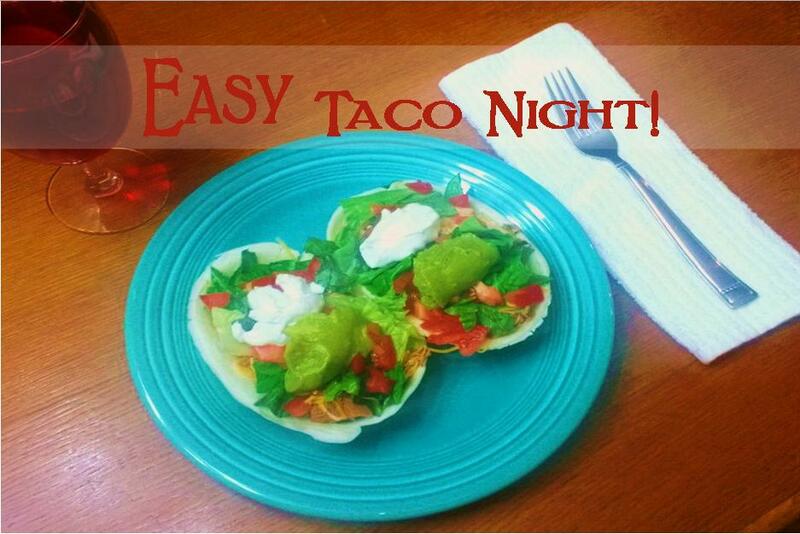 It is a soft taco shell that is formed into a bowl shape. 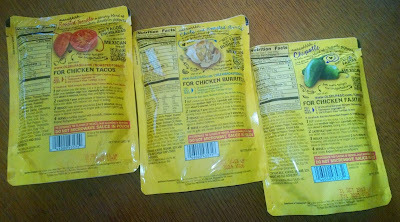 They sent us the Stand ‘N Stuff soft flour tortillas and their three new Mexican Cooking Sauces to try. When I took all the products out of the box I immediately started thinking of the ways I could use them. On the back of each of the Mexican Cooking Sauces they feature a recipe that you could use if you desire. There is also a description of each sauce. The Chile & Roasted Garlic sauce is a mild sauce that is recommended for burritos. It is described as a savory blend of mild ancho and guajillo peppers, roasted onion and garlic. The Roasted Tomato sauce is also a mild sauce and it is recommended for tacos. The description says it is a savory blend of roasted ripe tomatoes, Anaheim peppers and a touch of onion and garlic. The third sauce is Chipotle and it is classified as medium and recommended for fajitas. Its description is a rich smoky blend of chipotle peppers and fire roasted tomatoes with a touch of sour cream. Lord have mercy! It is so sad that there isn't some type of scratch and sniff button I could embed on here. The description of savory doesn't even begin to describe the succulent vapors that were wafting out of my kitchen all afternoon. After being tortured most of the day the chicken was finally done. I decided to make some rice to go along with it. 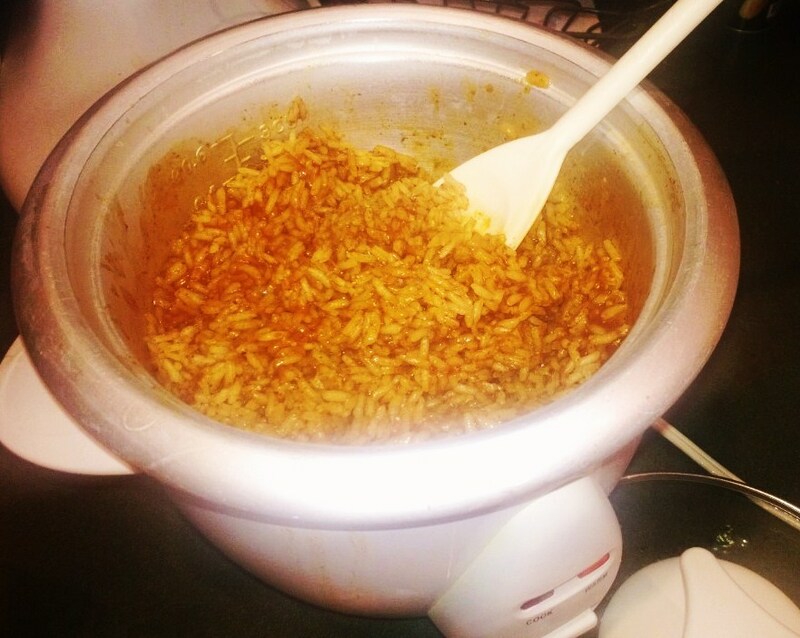 I got out my handy dandy rice cooker and used some of the sauce off of the chicken along with water to cook the rice in. When everything was finished we heated up the Stand ‘N Stuff tortillas in the microwave according to the directions. Then the assembly began. We layered in the rice then chicken and topped it all off with some shredded cheese. A little lettuce, tomato, avacado and a dollop of sour cream rounded the whole thing out. To say this turned out delicious is an understatement. I can’t wait to try the other two sauces. You know I’m already planning ahead to the next time we have company over. This would make an excellent taco bar night! I’m pretty sure these are going to become a staple in my pantry. Now for the really exciting part . . . one of our blessed readers has the opportunity to win the Stand ‘N Stuff tortillas and all three of the new Mexican Cooking Sauces. Just use the form below to enter. One reader US only 18+ will win an Old El Paso Prize! Giveaway ends on 8/12/2013 at 12:00 am EST. Fill out the Rafflecopter form below to be entered. I love Mexican! Can't wait to try the cooking sauces!! I would like to try Old El Paso's new Chipotle cooking sauce. I love their refried beans.Thanks for the chance. I definately want to try the Chipotle cooking sauce. I want to try the Stand ‘N Stuff soft flour tortillas. Refried beans for Huevos Rancheros. I want to try the Red Enchilada Sauce. I definitely want to try the stand and stuff tortillas. I want to try the stand up shells. Id like to try the refried beans and the stand and stuff shells. I love the taco seasoning. 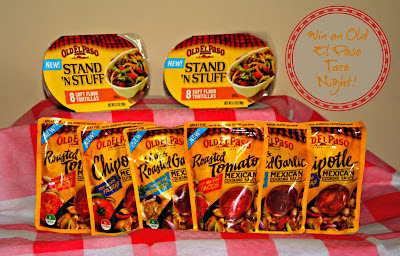 I'm dying to try the stand n stuff tortillas and basically all of the sauces! You can really get creative with these torillas! I want to try the sauces. The roasted tomato, especially after what you said! I have always wanted to try their salsa! I would love to try the roasted tomato. The Soft TacoBake looks like something I would like to try. I would love to try the Old El Paso Gordita Dinner Kit. I would love to try the gordita kit! I haven't had those in a long time, so it would be a real treat. Chile & Roasted Garlic Mexican Sauce I'd love to try. I hadn't thought of using the crock pot for it. I would love to try the Taco Bake dinner kit! I would like to try the Burrito Dinner Kit! I'd try the Gordita Dinner Kit! I want to try the Stand n Stuff soft tortilla shells. I would like to see how hot the Hot Thick 'n Chunky Salsa is. 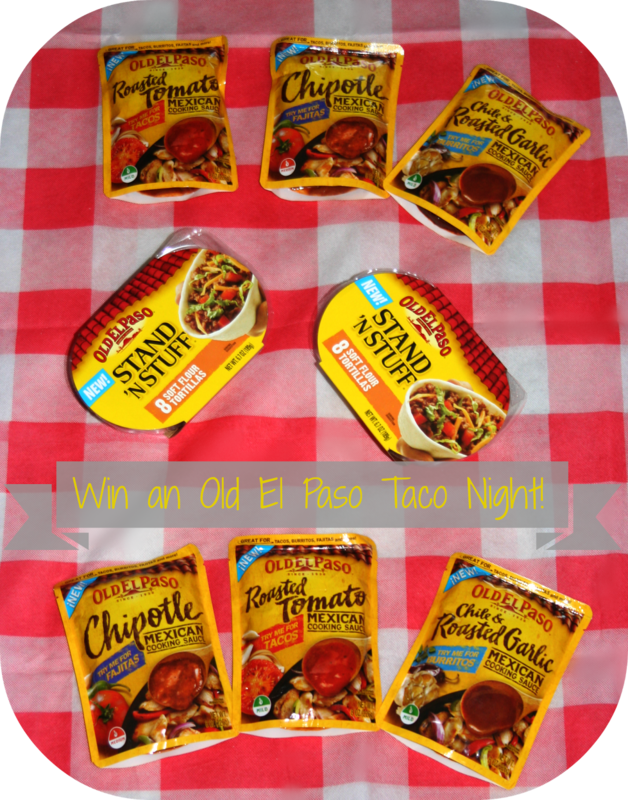 I would love to try the Chipotle pack----I love this flavor on anything! I would like to try the stand and stuff taco dinner kit. I want to try the Enchilada Bake Dinner Kit. The soft taco dinner kit. I would like to try the Enchilada Dinner Kit from Old El Paso. The cooking sauces sound great...all of them, but especially the chipotle. :-) Thank you. I would like to try their new Chipotle Cooking Sauce, thank you! Burrito dinner kit looks good! The stand n stuff tacos! I want to try the Gordita Dinner Kit. 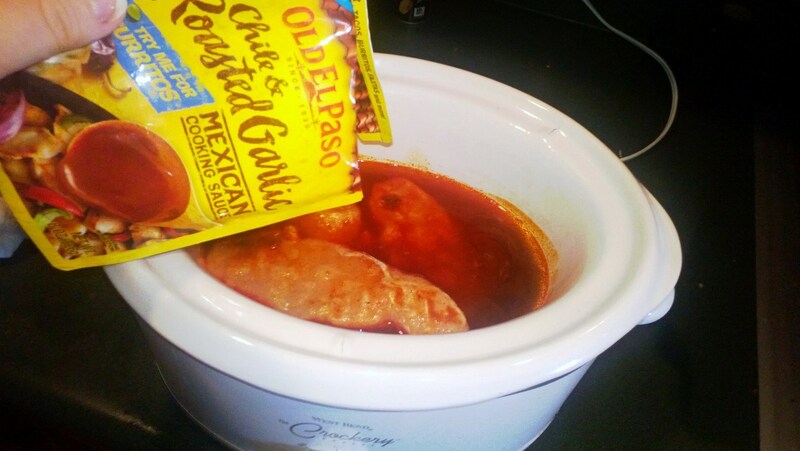 I would love to try the Old El Paso Traditional Refried beans! I would love to try the Soft TacoBake® Dinner Kit. I would like to try the Chicken Soft Tacos. i want to try the burrito dinner kit. I want to try the burrito kit! I would love to try the burrito dinner kit. I'd like to try the enchilada dinner kit. I would go with the soft taco dinner kit. Definitely the chipotle cooking sauce. I would love to try the Fajita Dinner Kit! MMM the Fajita Dinner Kit! i just tried the soft tortilla stand and stuff and love em! loce ole elpaso mexican food so yummy. I want to try the chicken soft taco kit. I'd like to try the Stand 'N Stuff shells. Thanks. The Stand N'Stuff Taco Shells looks like they could be used for a vaiety of things, so I'd like to try those. They'd even make great little boats for chili with cheese on top, taco salad, or even individual shephrd's pie. Great idea!!!! I would love to try the chili and roasted garlic sauce! i would love to try the Enchilada Dinner Kit. I want to try the Stand ‘N Stuff tortillas. Chile & Roasted Garlic Mexican Sauce sounds really good! I'd like to try the soft taco dinner bake! id love to try the Gordita Dinner Kit!